One of my favorite blogs is Smitten Kitchen. She has so many recipes that transformed my idea and love of homemade cooking. Each dish is beautiful, but many of them take a little more time than I have on a weekday. Maybe that’s because all of my culinary experience started with baking – not the quickest form of cooking. 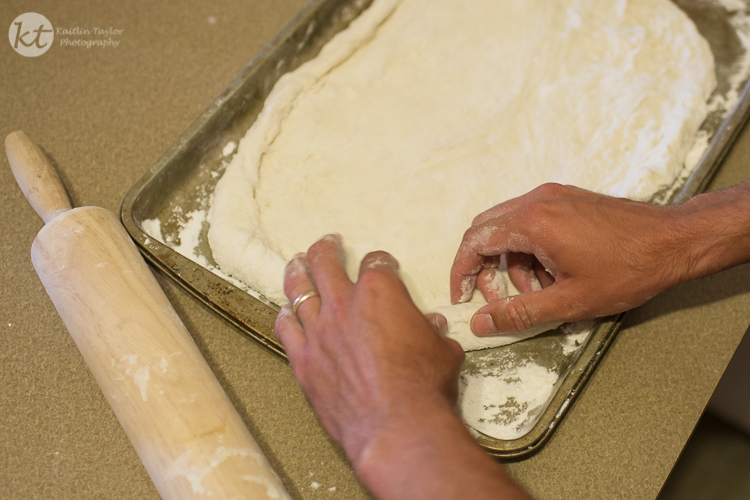 But, while combing the blog for dinner recipes to impress my new husband a couple years ago, I came across Lazy Pizza Dough. It takes five minutes and has become a dinner staple. I like it even more because I never make pizza alone. It is always a family activity.